This statistic compares the biotech vs. Web 2.0 share of total U.S. venture investment from 2005 to 2010. 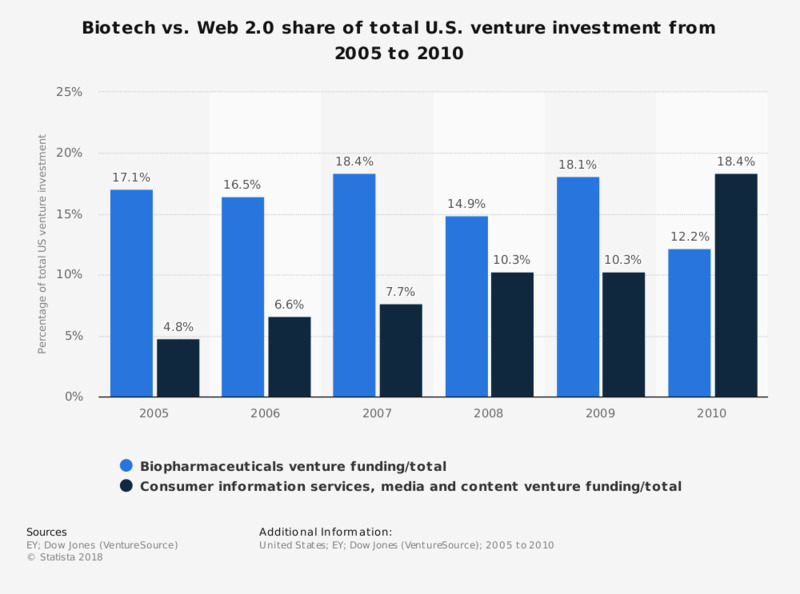 In 2010, the biotech sector had a share of 12.2 percent of the total U.S. venture investement, while the Web 2.0 sector registered a share of 18.4 percent.